Direct flights from Dubai to Hong Kong (the capital of China) are available from Emirates and Cathay Pacific. Indirect flights are operated by China Southern Airlines, Malaysia Airlines, Qatar Airways and Sri Lankan Airlines. To find the cheapest flight available, make use of our flight comparison tool to the left as well as the list of airlines providing links to their online booking forms (below). The distance between Dubai International Airport and Hong Kong International Airport is some 5,943km. Emirates launches daily flights from Dubai to Hong-kong operated by an Airbus A380. Two Filipinos are fined HK$2,000 for stealing life jackets from a Cathay Pacific flight from Dubai to Hong Kong. Cathay Pacific announces the introduction of first class and an improved business class service on its Dubai - Hong Kong route. Cathay Pacific adds 3 extra weekly flights (Mondays, Thursdays and Saturdays), increasing it to 10 per week. Passengers on board an Emirates flight from Dubai to Hong Kong complain that a dead Filipino man in his sixties was left strapped to his seat for 3 hours after being declared dead by a medic onboard. Emirates introduces flights from Dubai to Hong Kong. T Bruekner found the seating uncomfortable on his Cathay Pacific flight from Dubai to Hong Kong. 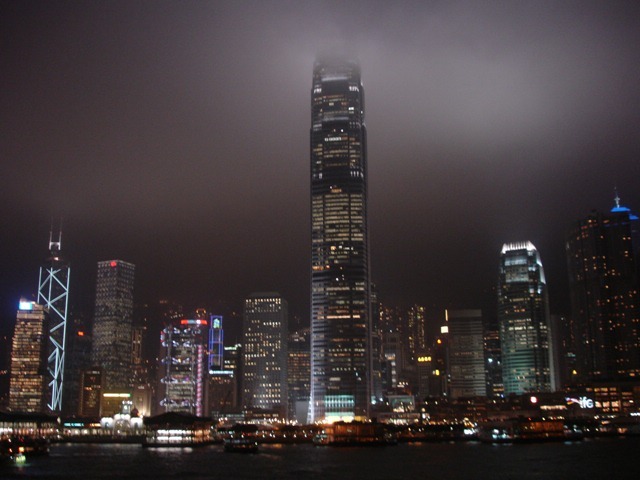 In Hong Kong he visited The Peak (he was advised that you have to "be aggressive to get a seat on the tram to the Peak"), and watched the laser shows through the mist. It is 4 hours later in Hong Kong than in Dubai, United Arab Emirates (UAE). We suggest setting your watch to Hong Kong's time as soon as you board your flight (the earlier you begin acclimatizing to the new time zone the better). Below you will find a map centred on Hong Kong with its International Airport pinpointed (click on the link to find directions to locations in and around the city). The Hong Kong International Airport was built by land reclamation on Chek Lap Kok Island, and is colloquially known as Chek Lap Kok Airport. Cunard & P&O Cruises sometimes cruise from Dubai to Hong Kong, with typical stops being Mumbai (India), Cochin (India), Klang (Kuala Lumpur, Malaysia), Phuket, Penang, Singapore, Ho Chi Minh City (Vietnam) and Nha Trang (Vietnam). Book a stay in one of the stylish and spacious rooms of the Four Seasons Hotel in Hong Kong. We recommend a room on the top floors if you would like a view of the harbour and its surroundings. The Four Seasons is located within walking distance of the Exchange Square, the Star Ferry Pier Central, the Western Market and the Yung Kee. The Statue Square and Soho can be reached via car or taxi.